Our bus from Dubrovnik, Croatia departed at 7:00am and we left our guest house at 6 to walk the 2.5 miles to the bus station. It was a short and windy 2.5hr ride to Montenegro with beautiful views as we drove past the teal waters of the Bay of Kotor, Montenegro surrounded by mountains. In Kotor we walked around the old town which didn't take very long as it's a small town enclosed by a stone wall- similar to Dubrovnik but not as grand. 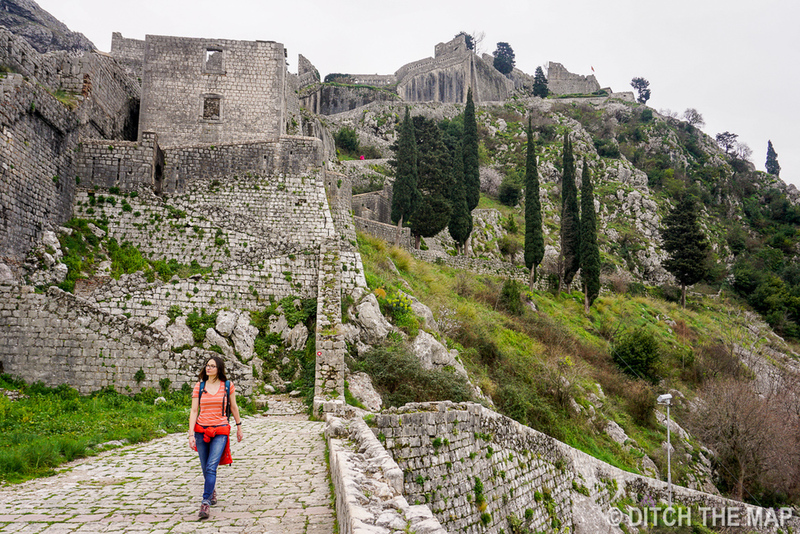 The stone wall surrounding the town ascends high into the mountain and we walked the perimeter of the wall, up 1300 steps to the remains of the fort at the top of the mountain. Climbing the mountain the views became increasingly beautiful. The bay is the most magnificent color and the water is so still it's like a mirror. We could see the entire old town from the mountain top. The air was fresh and the weather was perfect- we even dared to hike without our coats. It seems like we are the only tourists here as the old town is closed up and quiet and we basically had the whole mountain to ourselves as we hiked. Later in the afternoon we took a public mini bus to the small town of Perast, also on the bay. Perast has a population of 400. We wondered the town and found a quiet place to sit by the tranquil water. The bay against the mountains is a striking view. 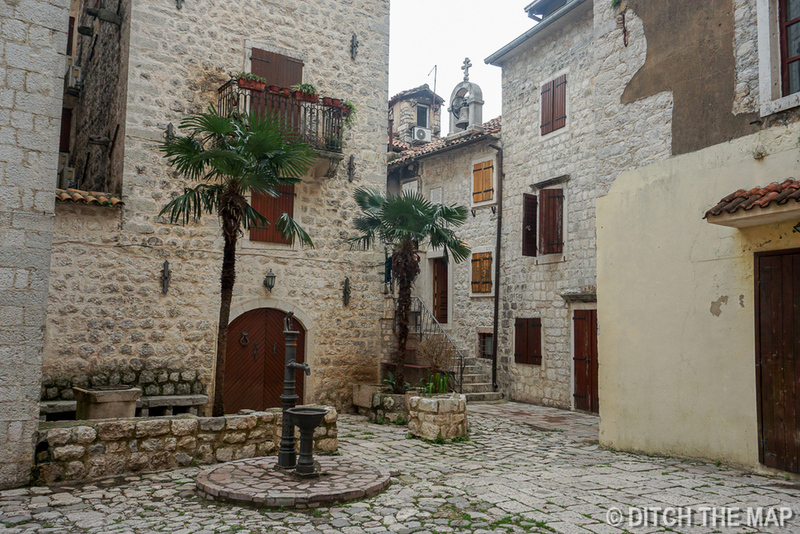 Both Kotor and Perast are small quiet town's most remarkable for their nature. 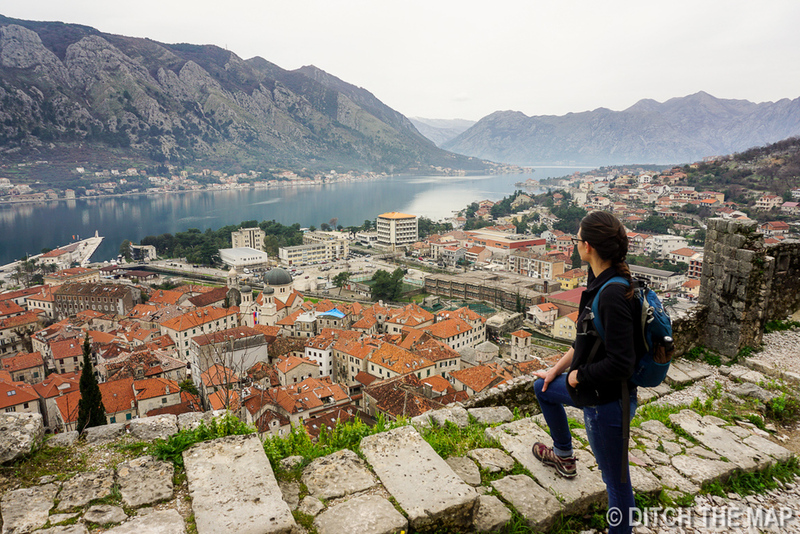 We very much enjoyed our one quiet day in Montenegro soaking in the beautiful scenery. Although we had asked the bus driver to take us to Perast we found out almost two hours after he had dropped us off that we were actually in the town after it, called Risan. O well, live and learn. Next stop, Tirana, Albania. Figuring out transportation has been a big of a headache. A local hostel offers a bus service and the most direct route for 35 euro per person. This seems like the best option as we've read several travel blogs full of complaints about Albania's unreliable public transit.